PHOENIX (AP) � A second man has been booked on suspicion of murder in the 2014 fatal bludgeoning of an Arizona man who investigators said was bound, gagged and struck with an ax in a killing involving people affiliated with a white supremacist prison gang. 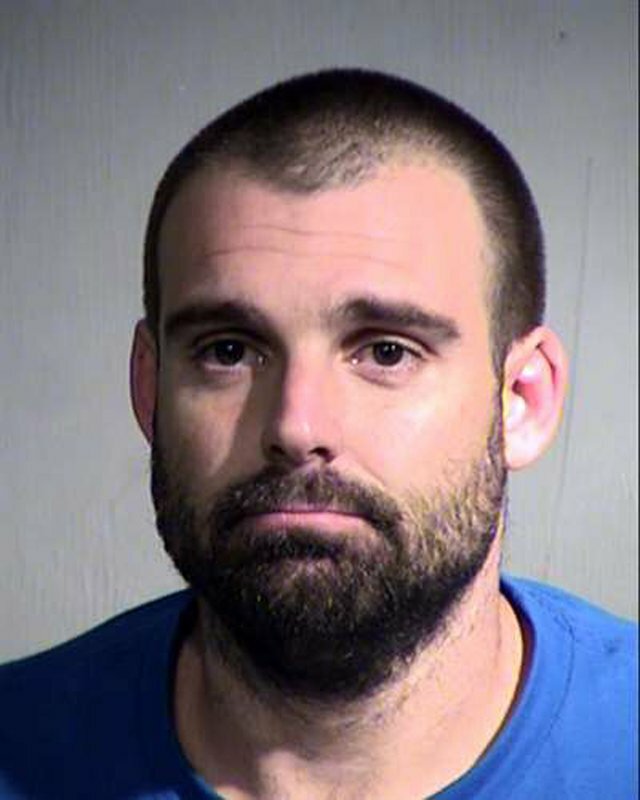 A member of the Aryan Brotherhood was arrested eight months after the body of 40-year-old Joshua C. Calkins was found in wrapped in a blanket and tarp in an alley in west Phoenix. On Wednesday, a second man, 59-year-old Charles Eugene Robbins of Phoenix, was booked on suspicion of murder in Calkins� death. Robbins was originally charged in 2015 with helping an associate, who investigators said had already badly beaten Calkins, clean up the crime scene and dump the body, but at the time Robbins wasn�t accused of killing Calkins. His case was dismissed in 2016 at the request of prosecutors, who refiled the case this week with a murder charge added on after a witness claimed Robbins had gone a step further than previously thought by participating in the killing at an apartment in Glendale. The witness told police in early 2016 that Robbins was angry when he arrived at the apartment because Calkins was still alive, so Robbins killed Calkins by snapping his neck, according to court records. Police say Calkins� head was nearly cut off. Robert Shipman, an attorney who represented Robbins in his earlier case, said he is going to be assigned to represent Robbins in his new case. �The only thing I could say at this point is he has entered a not guilty plea,� Shipman said, adding that he will work with Robbins soon once the evidence-sharing process starts in the case. Authorities say Robbins went to the apartment to help 35-year-old Christopher Paul Mason, an Aryan Brotherhood member and the first person charged with murder in Calkins� death, clean up the scene, hide the body in a couch, bring the sofa to Robbins� truck and leave body in the alley about 4 miles (6 kilometers) away. One person claims to have witnessed Mason strike Calkins with the blunt side of the ax, causing Calkins to fall to the floor, police said. As part of the murder case, Mason is charged with assisting a criminal street gang by attacking Calkins in association with the Aryan Brotherhood. Prosecutors are seeking the death penalty against Mason, who has pleaded not guilty to murder and other charges. His trial is scheduled for November 2019. A phone message left for Terry Lynn Lovett Bublik, one of Mason�s attorneys, wasn�t immediately returned Friday afternoon. Investigators say Mason attacked Calkins because Calkins� romantic relationship with a woman affiliated with the Aryan Brotherhood had ended badly and because Calkins had robbed a drug dealer who was a friend of his ex-girlfriend. They say Calkins, who was badly beaten over the course of a day, begged for his life and was forced to offer an apology over the phone for having robbed the drug dealer. Authorities say Calkins� former girlfriend, 49-year-old Brenna Janette Maas, gave permission to Mason to kill Calkins. Maas is serving a 25-year sentence for her guilty pleas to conspiring to commit kidnapping and assisting a criminal street gang in Calkins� death. Police say Calkins and Robbins were affiliated with the Aryan Brotherhood.